Editor’s Note: Every Monday, Lori Gottlieb answers questions from readers about their problems, big and small. Have a question? Email her at dear.therapist@theatlantic.com. For Christmas this year, my boyfriend surprised me with a ring. It's sapphire and silver—beautiful. But it's not an engagement ring. Without saying so outright, he made clear that it was just a ring. After dating for a few years, and living together for the past year and a half, I can't help but be disappointed. To make matters worse, when I went to the store to get the ring resized, the clerk kept congratulating me and asking me all about my fiancé. I wasn't expecting to get engaged over the holidays—my boyfriend has also said he doesn't want to propose on a holiday, or my birthday, or some other occasion so that he won't "ruin it" if the marriage goes badly. We've talked about marriage and getting engaged, but he also says he thinks we still have some things to work on in our relationship. I've tried to advocate for myself and tell him that I have my own timeline and expectations, but that I'm willing to give him the time he needs. But now, with this ring, I wonder whether that's still in the cards. I can't imagine him getting me two rings in the same year, given that this is the first piece of jewelry he's ever bought me. I'm worried he's finding new ways of putting off our engagement without having to talk to me about it. So this is my question: Is my disappointment unreasonable? I definitely feel the pull of marriage while I am still young enough to have children. I also know that I love my boyfriend and am dedicated to making our relationship work long-term. Am I disappointed because he hasn't picked me yet, or because I have real fears about the longevity of our relationship? Often patients in therapy will come in and tell me something that happened, then follow the story with, "Is it okay to be mad about this, or am I overreacting?" or "I know I shouldn't be sad, but …" And what I always tell them is this: Your feelings are your feelings. You can pretend that they don't exist, but they'll still be there anyway. Listen to them—they'll give you useful information. This is true of your disappointment. Instead of questioning it or hiding it from your boyfriend, use it to guide you. Think of your disappointment as a sign that says pay attention. Let your disappointment highlight what needs clarity—in this case, how you're both feeling about your future together. It seems that there are two conversations you need to have to get this clarity: one with your boyfriend and one with yourself. It sounds like you and your boyfriend have had some conversations about your future together, with you expressing your desire to get married and him explaining that he feels you two have some things to work on first. You don't say what they are, but are you clear about the issues that need to be worked out between you? Do you share his concerns? And if so, what are you doing to work on them together? I ask these questions because you've told your boyfriend that you're "willing to give him the time he needs," but it's important that you two talk about what this time is being used for. I wonder how these conversations have gone so far. An unproductive way to have this conversation goes something like, "I feel like we have things to work on, so I'm not ready yet"—but there are no specifics about what's not working or what steps you two might take (say, couples therapy) to move forward. Another unproductive way to have this conversation goes something like, "It's not the relationship that needs work, it's such-and-such about you." In that conversation, there's no consideration of what he might need to do to improve things between you. If you haven't talked about what his concerns are and what you're both doing to work them out, now is the time to deepen that conversation with as much specificity as possible. You may also want to learn more about what associations you both have with marriage. For you it may signify safety, trust, and commitment, and for him it might signify something entirely different. If you get curious about what it's like for him to contemplate marriage, you may learn that his hesitancy is less about his not "picking you" and more about his own struggle. For instance, although he says he wants marriage, perhaps it also terrifies him. Maybe he feels he can't live up to whatever idea he has in his head about the role of "husband." Maybe he worries that he'd be the one to disappoint you. Maybe he didn't see a loving marriage in his own home growing up, and now he worries about making a mistake or the marriage not lasting. You may want to understand more about his fear of "ruining" a holiday or birthday if the marriage goes south. I can understand not tying an anniversary to another holiday in order to make the anniversary distinct and special, but in your boyfriend's mind, he's already preparing for the possibility that the marriage won't work out. There's more to learn about each other here: for you, what else might be going on with him; and for him, what it's like for you to love him and live with him and get a ring from him—but not know whether you'll be spending your future together. Meanwhile, there's a conversation you need to have with yourself. It's a hard one, because the part of you that loves your boyfriend and wants to spend your life with him probably doesn't want to sit down with the part of you that might bring up something painful or anxiety provoking. Often when people don't get what they want in a relationship, they give the other person an ultimatum: If you don't propose by X date, I'm leaving. But these ultimatums tend to backfire, because either you've pressured someone into marrying you, or the pressure has pushed that person away. Instead, the person you need to set boundaries with is yourself. How long are you willing to tolerate his ambivalence? At what point will you tell the part of you that's willing to wait that waiting is taking too long—that you need to move forward and free yourself up to meet someone who wants what you do? The more open you are to this internal dialogue, the more likely you'll be to do more than simply wait and see what your boyfriend does. As a result of these dialogues, you may decide to go to couples therapy with your boyfriend, or you may see a therapist yourself to help navigate your feelings and learn to communicate more effectively in the relationship. Whatever you decide to do, these two conversations are a positive first step. Natural disasters are equalizing forces. Fires torch the homes of the rich and the poor alike. Hurricanes destroy cruise ships as well as decade-old cars. Earthquakes level cities, affecting everyone within. But natural disasters are also polarizing forces. Income and wealth shape who gets hit; how much individuals, insurers, nonprofits, and governments are willing and able to help; and who recovers, as well as to what extent. That dynamic is now evident in Paradise, California, after the Camp Fire, much as it was in Houston after Harvey, Puerto Rico after Maria, New Jersey and New York after Sandy, New Orleans after Katrina, and so many places after so many other disasters, small and large. Across the country, two of the most potent forces in American life—climate change, which portends more frequent and more violent natural disasters, and social stratification—are colliding. And the former stands to make the latter far, far worse. The Camp Fire was all-consuming, incinerating much of the town of Paradise in mere hours. After breaking out in early November, it burned for more than two weeks, killing at least 86 people, destroying some 14,000 homes, and causing roughly $17 billion in insured losses. It was the most destructive wildfire in California history, and one of the worst natural calamities to hit the United States. Chelsea West, a registered nurse, was working a shift at the Feather River Hospital when the fire hit. "I was looking outside the window, seeing the smoke and thinking how strange it was that there was a fire in November," she told me. "Within 15 minutes things changed—the wind was really strong and we were seeing pieces of charred leaves falling on our campus, not just pieces of ash but things that were still burning." She helped evacuate the hospital, then got pinned down in flames as she tried to flee with some of her colleagues. "It was pitch black at eight in the morning," she said. "You're just in hell. It's like the fire is eating everything around you. Every moment I thought it could not get worse, and it kept getting worse, like a bad dream. I was trying not to run to conserve my oxygen." She and the small group she was with barely escaped. Although disasters like the Camp Fire seem to strike indiscriminately, in the aggregate that is not quite the case. Cheaper homes built without strong foundations or storm windows tend to be less safe during tornadoes and hurricanes. Floods hit low-lying neighborhoods the hardest, and low-lying neighborhoods are often low-income neighborhoods. In California, the extremely high cost of housing has encouraged building in and migration to certain fire-prone areas. This is to say: The country's built landscape means that lower-income families are often the most vulnerable to disasters. When a disaster strikes, the evacuation often stratifies on class lines, too. People with very low incomes, the disabled, and the elderly are less likely to have technologies that might alert them of a fire speeding their way or a hurricane about to bear down. In part for this reason, the average age of those who died in the Camp Fire was estimated at 71. Leaving itself sometimes imposes a significant cost—gas, missed work, hotel rooms—that the wealthier can bear but the poor might not be able to. Hurricane Katrina hit in late August, when many lower-income families were waiting on first-of-the-month checks to pay their bills. Many could not afford to get out. In later surveys, respondents explained that, "The hurricane came at the wrong time, we were waiting for our payday" and that "money was hard to come by." After the disaster, during the recovery, communities tend to pull together, with the trauma of loss shared across social divisions. That is certainly true in Paradise and the nearby town of Chico, which has absorbed many of the families whose homes burned down. "Everybody knows somebody who was devastated, and everybody is helping," said Alexa Benson-Valavanis, the chief executive officer of the North Valley Community Foundation. "The despair is so immense, but the other side of that is how people are helping." Yet the recovery is also when a disaster's polarizing effect becomes acute: Private and public aid in many cases accrues to the haves more so than the have-nots. "Disasters are increasing the disparity in terms of people's homes, their income, their access to services," said Brad Kieserman, the vice president for operations and logistics at the American Red Cross, which remains on the ground after the Camp Fire. "Disasters, for most communities, exacerbate already existing issues, which is why we often see in shelters what what we sometimes refer to as 'the least, the last, and the lost.' The people who had the least, who were the last to get services, who were already at the end, who were lost beforehand, especially financially." Chaos and uncertainty fuels this stratification. The Camp Fire interrupted town services and caused a mass internal displacement, with families crowding into makeshift shelters, setting up tents in church parking lots, doubling up with friends, and occupying any empty hotel rooms, motel rooms, and housing units. For many evacuees, it was unclear who was offering what to whom, or what was guaranteed or even tentatively provided by the government. Making matters worse, the people trying to coordinate resources had often lost their homes or cell phones or computers or cars in the fire. "There was no real clarity on what options were available," said Tom Tenorio, the executive director of the Community Action Agency of Butte County. A person he works with had become homeless, he said. "She was advised to get a Small Business Administration loan. And she was wondering: 'Why on earth would I want to get an SBA loan?'" Income determined who stayed and who left, in part. "People who were able to leave, many of them are gone," said Audrey Denney, an expert on agriculture and education and recent Congressional candidate now helping with the recovery effort. Research from prior disasters has shown that, as a general point, this is what happens: After a disaster the rich leave and the poor remain. Poverty rates climb by "one percentage point in areas hit by super-severe disasters," one recent study found. "That suggests that people who aren't poor are migrating out or that people who are poor are migrating in." For those staying, life often gets harder, with fewer jobs and increased expenses. For renters and the unstably housed in Paradise and Chico, the fire has given way to a dire housing crisis, with spiked rents, no vacancies, and surging demand. "I've lived in the same rental house for years," said Denney. "My 90-year-old landlord who lives in Sacramento called me yesterday and said, 'I'm getting the house appraised to sell.'" She said that she might have to try to live with friends, or potentially move away from the area. The poor have been the hardest hit. Two months after the disaster, there are still hundreds living in shelters. "We have people who are trickling down into the ranks of the homeless," said Laura Cootsona, the executive director of the Jesus Center, a homeless shelter in Chico. "We're already a relatively low-cost area in California terms, and there's nowhere for them to go. Most of the surrounding areas also have housing challenges and inadequate housing for the poor." At a national level, research shows that government aid might widen wealth inequality in the wake of disasters, by helping the well-off more than the poor. "The more FEMA aid a county receives, the more unequal wealth becomes between more and less advantaged residents, holding all else constant, including local hazard damages," researchers Junia Howell and James Elliott recently found. Disasters also in some ways increase the inequality between communities, not just within them. Richer communities have more philanthropic dollars at the ready, for instance, and stronger tax bases to finance rebuilding. "The community itself—this rural community, this lower-income community, with a lot of retired folks—is going to have to pick up a lot of the slack," said Benson-Valavanis, talking about Paradise and Chico. "A lot of the need is going to be met by our local nonprofits and philanthropy. That's a daunting realization when, of course, none of us were prepared for a disaster of this magnitude." At an international level, the effect is perhaps strongest and clearest. Lower-income countries are more vulnerable to climate-change linked natural disasters, less capable of mitigating the fatal effects of such disasters, and more likely to have their growth paths damaged by such disasters. It need not be so—particularly not in the United States. Legislators could rework federal disaster aid to ensure that more assistance goes to low-income families and communities. They could help make communities more resilient to climate change, which would act as a powerful kind of stimulus, and might make the poor less vulnerable to begin with. And they could exert themselves to reduce income inequality to prevent yet more extreme stratification as climate change takes hold. For now, though, disasters remain a potent force of polarization, sorting the haves from the have-nots. The Sundance Film Festival always marks the beginning of an exciting new year in cinema just as the previous awards season lumbers to a conclusion (the 2019 Oscar nominations will be announced just days before Sundance starts on January 24). Two years ago, Jordan Peele's Get Out premiered at the festival and quickly became one of the most talked-about movies of 2016. Last year, a slew of hits including Won't You Be My Neighbor?, RBG, and Three Identical Strangers took off at Sundance, presaging a hot summer at the box office for documentaries. The 2019 festival promises similarly resonant nonfiction films, along with the usual mix of directorial debuts and intriguing new talent. Perhaps the splashiest upcoming movie is also one of Sundance's longest entries. Leaving Neverland, a four-hour examination of two child-molestation accusations against the late Michael Jackson, is certain to revive the storm of controversy that first engulfed the now-dead singer in 1993. Decades later, two men (now in their 30s) recount allegations of sustained abuse by the singer, which the Jackson estate has already denied. The film, directed by Dan Reed, will air on HBO in April in two parts, but its subject matter will undoubtedly dominate headlines from the first screening on. Several other Sundance documentaries are taking aim at notorious real-life figures. Ursula Macfarlane's Untouchable digs into the history of the disgraced mega-producer Harvey Weinstein and how he leveraged his power in the movie industry to protect himself from charges of sexual harassment and assault. 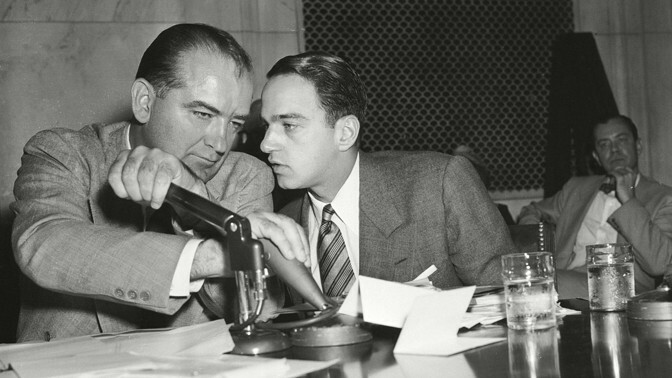 Matt Tyrnauer's Where's My Roy Cohn?, titled after a reported Donald Trump quote, profiles the infamous attorney's relationships with Joseph McCarthy and Trump, casting Cohn as an avatar for this era of American politics. Alex Gibney's The Inventor sums up the rise-and-fall story of Elizabeth Holmes and her blood-testing company, Theranos, which collapsed in 2018 after its founder was charged with massive fraud by the Securities and Exchange Commission. Though documentaries have dominated Sundance lately, the U.S. Dramatic Competition section has, in recent years, identified major new directors such as Desiree Akhavan, Damien Chazelle, Robert Eggers, Ryan Coogler, and Benh Zeitlin. Many of these entrants are young, up-and-coming artists who've made only one or two features. Already this year, buzz has started to emerge around the Chinese-born, American-raised director Lulu Wang and her second film, The Farewell. The movie stars Awkwafina as a Chinese American woman returning to China after her grandmother is diagnosed as terminally ill—a fact that's kept secret from the matriarch. Wang, who based the film on a story she told on This American Life, said she wanted to use The Farewell to explore the intergenerational nuances of her family. Other dramas in competition include Chinonye Chukwu's Clemency, about a prison warden (Alfre Woodard) struggling with her work on death row; Alma Har'el's Honey Boy, written by Shia LaBeouf, which semi-autobiographically recounts LaBeouf's life as a child actor and his fraught relationship with his father; Joe Talbot's The Last Black Man in San Francisco, a story of a man (Jimmie Fails) struggling to reclaim his family home in the rapidly gentrifying city; and Rashid Johnson's Native Son, a modern reimagining of Richard Wright's novel starring Ashton Sanders (Moonlight) as Bigger Thomas. 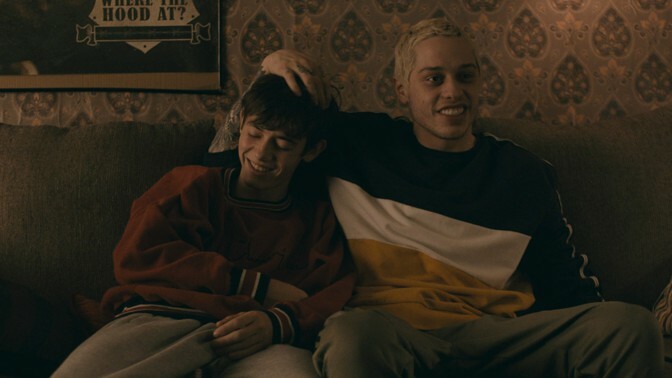 On the comedy side, Jason Orley's Big Time Adolescence stars Saturday Night Live's Pete Davidson as a charismatic college dropout who becomes a bad influence on a listless suburban teenager. Paul Downs Colaizzo's Brittany Runs a Marathon has Jillian Bell (Idiotsitter) playing a messy New Yorker trying to pull her life together by preparing for a big race, and Hannah Pearl Utt's madcap Before You Know It unravels a long-held family secret on the set of a soap opera. Some of Sundance's most memorable recent debuts were works of horror, including Hereditary and The Witch. Genre movies to look for this year include Pippa Bianco's Share, in which a teenage girl tries to solve the mystery of a disturbing video featuring herself that she doesn't remember filming, and Julius Onah's Luce, in which a married couple find out their adopted Eritrean son (Kelvin Harrison Jr.) has a dark secret in his past. There's also Dan Gilroy's out-of-competition movie Velvet Buzzsaw, starring his past collaborator Jake Gyllenhaal (Nightcrawler) as an art dealer who starts buying paintings that come to life and kill people. That film will premiere on Netflix a week after Sundance begins, and it looks like an appropriately zany start to the new movie season. Sundance is full of other big-ticket works premiering out of competition. In Joe Berlinger's Extremely Wicked, Shockingly Evil and Vile, Zac Efron plays Ted Bundy, though the film is told from the perspective of the serial killer's longtime girlfriend, Liz (Lily Collins), who refused to acknowledge the truth about him. 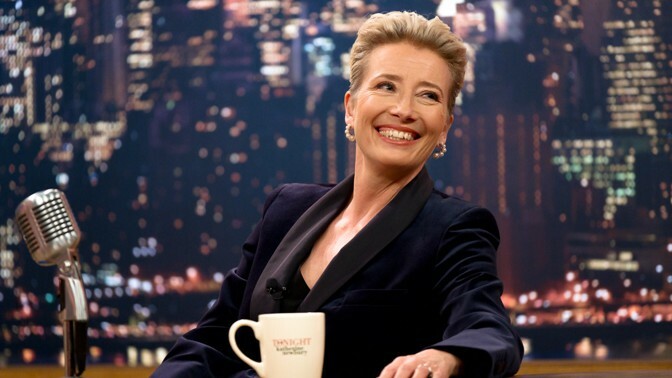 Nisha Ganatra's Late Night, written by Mindy Kaling, stars Emma Thompson as a legendary talk-show host whose program is upended when she hires her first female staff writer. Gavin Hood's Official Secrets features Keira Knightley as Katharine Gun, a British whistleblower who tried to expose an illegal U.S.-U.K. spying operation in the months before the start of the Iraq War. The actor Chiwetel Ejiofor makes his directorial debut with The Boy Who Harnessed the Wind, a heartwarming biopic about William Kamkwamba, a Malawian 13-year-old who used wind power to save his family from famine. Many more premieres, docs, and competition features will screen over the next two weeks in Park City, Utah, but each year at Sundance, audience hype yanks a film from the shadows. Though Netflix's and Amazon's recent strategy of making expensive acquisitions at the festival tailed off last year, major indie studios such as Fox Searchlight, A24, and Neon are still primed for bidding wars, perhaps hunting for a surprise box-office sensation (last year's was Ari Aster's Hereditary, a small-scale family-horror film that became one of A24's highest-ever grossers). It's worth noting that since Hollywood produces fewer mid-budget movies, directors are making the leap from indies to blockbusters more quickly. Coogler premiered his directorial debut at this festival only six years ago and was soon snapped up by the Marvel machine. This talent pipeline is significant, given that 40 percent of films at this year's Sundance (45 movies total) were directed by a woman, and 36 percent (40 movies) were made by people of color—numbers well above those in the studio world at large. The industry's next big filmmakers could very well make their name here in the coming weeks, and the artists chosen by the festival paint a thrilling picture of Hollywood's future. It's something of an annual tradition for the president. On Sunday morning, as the eastern half of the country endured driving snow and frigid winter winds, Donald Trump asked on Twitter how climate change could be real if it was so cold outside. "Be careful and try staying in your house," he said. "Large parts of the Country are suffering from tremendous amounts of snow and near record setting cold. Amazing how big this system is. Wouldn't be bad to have a little of that good old fashioned Global Warming right now!" Trump has raised similar concerns about that "good old fashioned Global Warming" nearly every year since 2012. If it snows near Manhattan, the president says he isn't sure about climate change. Unfortunately, even as New York has occasionally been blasted with frozen precipitation, the world has kept warming. The past four years have been the four warmest years on record—a fact that NASA and the National Oceanic and Atmospheric Administration were due to announce this past week, were the government not shut down. Earlier this winter, Washington, D.C., experienced a shocking 22 days of above-average temperatures, and the Northeast as a whole saw a balmy January. President Trump did not seize that opportunity to affirm that global warming was real. The simple, tedious fact is that two things can be true at the same time: The world's average temperature can be clearly and dangerously increasing, and it can still snow sometimes in the northeastern United States. Climate emerges from averages, and the averages are unambiguous. Snowpack and ice cover are decreasing, especially in the Mountain West. The Great Lakes' winter-ice cover has declined by 71 percent over the past 40 years. The average time between the last frost of spring and the first frost of fall has increased in every region of the country since the early-20th century. None of these facts is likely to convince Trump, for Trump seems to have decided that he does not want to be convinced. As I wrote last year, he has expressed no interest or curiosity in updating his beliefs to reflect new facts. Instead, he has fought to keep those facts from the public: In November, every U.S. scientific agency affirmed the fact of human-driven climate change. The White House responded by trying to bury the report by releasing it on Black Friday. "One of the problems that a lot of people like myself, we have very high levels of intelligence but we're not necessarily such believers," Trump told The Washington Post while rejecting his own government's dire climate conclusions last year. Believers is an unfortunate choice of word because facts, alas, keep being true whether you believe in them or not. It is dangerously icy in the Northeast, and by all means local residents should stay inside. But a brief cold spell does not undo decades of scientific fact. Pete Davidson has been largely absent from Saturday Night Live for the past couple of months. The 25-year-old comedian has had a tabloid spotlight trained on him since June 2018, when his engagement to the pop star Ariana Grande became the story of the summer. Davidson, whose comedic approach is raw and personal, would often stop by SNL's "Weekend Update" segment to joke about the volatility of his relationship, which eventually collapsed. In November, he apologized to then-incoming Republican Representative Dan Crenshaw for mocking the veteran's combat injury on the air. Less than a month later, Davidson posted on Instagram about feeling suicidal, alarming people enough that a police officer was sent to the SNL studios to check on him. This is all to say that when Davidson showed up behind the "Weekend Update" desk in the most recent Saturday Night Live episode, the first of 2019, the jokes felt even more charged than usual. "I've had a really crazy month, and I want to talk about something that matters a lot to me," he said. "Oh, okay. Mental health?" the "Update" host Colin Jost asked. "No," Davidson replied, "the new Clint Eastwood movie The Mule!" As Jost and his co-host, Michael Che, confessed that they had not yet seen Eastwood's latest auteur effort, Davidson tagged in a friend and "Mule appreciator," the comedian John Mulaney, kicking off the only truly outstanding segment of the night. "Yeah, and after observing John's life, I publicly threatened suicide. I'm sorry, I know I shouldn't make that joke, but it is funny," Davidson said with a chuckle, toeing his usual line between confessional comedy and cringe-inducing shock humor. "Pete, look me in the eye," Mulaney said. "You are loved by many, and we are glad you are okay. Now, back to The Mule." It was a jolting, sweet, and undeniably sensitive moment—a way for the show to acknowledge Davidson's struggles without dipping into pure, po-faced sincerity (something Davidson would likely despise). The duo's connection is also clearly genuine—Mulaney recently talked about his trip to a Steely Dan concert with Davidson on The Tonight Show and has posted several Instagrams while on the road with the comic. Their shared delight at the plot details of The Mule, which stars Eastwood as a late-in-life drug runner, was equally genuine. "You remember when Clint Eastwood berated an empty chair at the Republican National Convention?" Mulaney asked. "It's like if that was a movie!" Davidson replied. The pair marveled at Eastwood's character still being allowed to drive at the age of 90: "This was a superhero movie for old people about a guy whose superpower is that he can drive unsupervised," Mulaney quipped. "Fulfilling another elderly grandpa fantasy: that a 90-year-old white man can do any job better than a Mexican, even when the job is Mexican drug trafficking." Beyond the jabs at Eastwood's movie, though, what elevated the segment was Davidson and Mulaney's vibrant odd-couple chemistry. Mulaney has the clipped, precise delivery of a veteran, Johnny Carson–esque comic (his talent as a stand-up includes knowing exactly which syllables to hit hardest in every joke), while the hyperactive Davidson seems like he could misread a cue card at any moment or break into unplanned guffaws. Their pairing felt more alive than the show's ongoing "Update" team, Jost and Che. The segment has long been in need of revamping, and unfortunately, Mulaney, who has for years been an obvious pick for the hosting job, is likely too busy with his own career to return to SNL full-time. New year or not, this SNL season remains in flux, quality-wise. The political material is still quite wanting—this week's cold-open sketch, starring Alec Baldwin as President Donald Trump, cast the ongoing U.S. government shutdown as a Deal or No Deal game show, a premise that would've felt stale even in 2006, when Deal or No Deal was popular (new episodes now air on the cable channel CNBC). Some of the episode's other, sillier sketches were worth a laugh, such as a parody news report from an office where people were trying to change their (ridiculous, sometimes obscene) name, but it was an overall lackluster return to the airwaves for the show, with the host, Rachel Brosnahan (The Marvelous Mrs. Maisel), feeling lost in the shuffle. SNL's season cannot be saved with a Mule appreciation alone, but the authenticity of Mulaney and Davidson's glee, and their unmistakable bond, certainly gave the episode a much-needed boost. Last week, The Washington Post reported that President Donald Trump has gone to extreme lengths to conceal the details of his conversations with Russian President Vladimir Putin. On at least one occasion, the Post reported, Trump took possession of the notes of his own interpreter. While questioning the interpreter about the substance of Trump and Putin's talks would constitute a breach of norms, "pretending now that the old rules can function as intended is not only delusive, but dangerous," David Frum wrote. "Subpoena the interpreter now." In his arguments for subpoenaing Trump's interpreter, Frum ignores the fact that the Supreme Court now has five conservative justices. Frum himself lists excellent arguments that these five justices could use as justification for ruling in Trump's favor. If there were a robust dissent by the four liberals, Frum would get the worst of both worlds: The interpreter would not testify and, because the decision was merely 5–4, foreign government officials would be reluctant to be candid in their meetings with a U.S. president. If we were willing to force Secret Service agents to testify about what they saw or heard while with the president, what's so different about subpoenaing an interpreter? I have not seen anyone raise the issue yet of the information that is being lost to history and to future historians. Trump's appalling ignorance of history makes it clear that he has no respect for the subject. I respect that Mr. Frum is concerned about the potential gravity of private conversations between President Trump and Vladimir Putin; however, I don't believe that subpoenaing the American interpreter who was present for one of their meetings at the G20 summit in Hamburg is the correct course. Three parties were present for the second Hamburg conversation mentioned in David Frum's article: Presidents Donald Trump and Vladimir Putin, and the Russian interpreter. Assuming that Putin would not extradite himself or his interpreter to testify in front of Congress, the remaining option would be to directly subpoena President Trump to answer questions about what, specifically, was discussed during these meetings. The best avenue for this would be a closed-door meeting between the president and members of the House Committee on Foreign Affairs (chaired by Eliot Engel). The committee may then choose to release a public report that outlines the broad strokes of the meeting without delving into specifics that are sensitive for national-security reasons. There is, of course, the counterargument that Donald Trump would either lie, plead the Fifth, or be so intentionally vague as to give no new information at all to Congress and the American people about what conversations are being had at the highest level of foreign affairs. However, lying under oath is itself a federal crime, and if Trump is not forthcoming, then an interview with the interpreter may be in order only to confirm or deny what President Trump stated under oath in his testimony. If inconsistencies exist, then a more thorough investigation could follow. David Frum is correct in his concern about President Trump's cavalier approach to foreign affairs with Vladimir Putin. However, before Mr. Frum pushes for a breach in the ethical wall of interpreters, I'd just like to suggest that he first consider going directly to the source of all these conversations: Trump himself. "Mr. Interpreter, could you please tell the court what the accused said three sentences ago?" "I'm sorry, your honor, but I honestly have no idea. Please just ask him the question over again." As a professional courtroom interpreter for 15 years, I had exchanges like this on a regular basis. Was I hiding something from the judge? Was I protecting the defendant that I was interpreting for? Not at all. It's simply that the mechanics of interpreting, especially simultaneously interpreting, involve not really paying attention to what is being said. It is an almost automatic process. Zen, if you will. Or to be less mystical, it's like your drive home. "Ma'am, could you tell us what business you passed three blocks before you got home?" Absolutely not. You were driving, not thinking. Questions of ethics aside, to expect an interpreter to recall a conversation from months back is simply an impossible request. And it would have been just as impossible one minute after the exchange. David Frum's piece is sending chills through the interpreter community. It is with undivided horror that I read your article, which advocated compelling testimony from Trump's interpreter. An interpreter must perform a very demanding task: rendering on the fly a set of ideas expressed in a foreign language. Among other difficulties, the interpreter must choose between synonyms, with no opportunity to weigh the consequences of his or her choice. This work is intensely stressful, performed within an immediacy that affords no delay. An interpreter cannot be a reliable witness unless he or she dwells upon what is being said, and in the process fails to perform adequately. Compelling the interpreter to provide testimony would have a severe chilling effect and damage useful diplomacy. You are subscribed to email updates from The Atlantic.